Incorporating two Extraordinary Low Dispersion glass elements to reduce chromatic aberration to a minimum and ensure sharp, quality images. The Internal Focus system ensures the overall length of the lens does not change during focusing, ensuring convenient handling and ease of use. 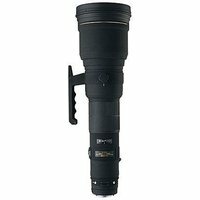 The Hyper Sonic Motor (HSM) ensures an ultra-quiet, high-speed AF function as well as full-time manual focusing capability for Sigma, Canon, and Nikon mount lenses. A 46mm filter can be inserted near the rear of the lens, and a circular polarising filter can be used in situ.